As I mentioned in my beetroot poori recipe, I am trying out varieties of Poori recipes in my kitchen during weekends. 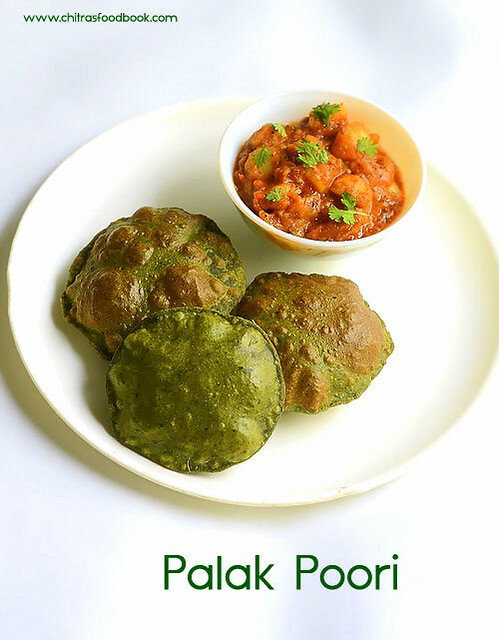 Last week I tried Spinach Poori ( Palak puri in Hindi, Pasalai keerai poori in Tamil) for our Sunday breakfast. I made North Indian style Aloo Bhaji/Subzi as side dish for Palak poori. Poori came out soft with mild masala flavor. 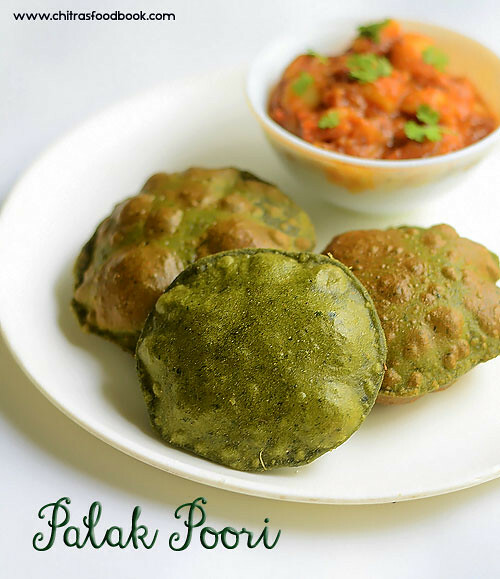 Aloo bhaji was tasting great and its one of the best side dish for Palak puri. Everyone liked it very much. 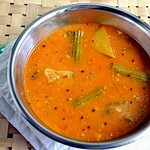 I will post aloo bhaji recipe by tomorrow or Saturday. 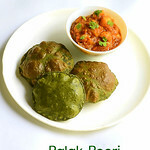 Today lets see how to make this Palak Puri recipe with step by step pictures. 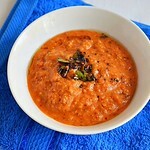 Check out my South Indian Poori Masala too ! Wash and chop the palak leaves. Heat a tbsp of oil and saute the palak leaves, green chilli, sugar till the palak leaves shrink and cooks well. Let it cool. Grind the palak into smooth thick puree without adding water. Take the wheat flour,Ajwain, salt, melted ghee,Garam masala powder, pureed palak in a wide bowl.Mix well without adding water. 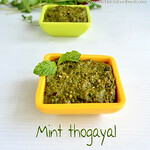 Let the palak puree spread well with atta. Now add water little by little and make a thick, soft, non-sticky dough.Cover the dough till use. 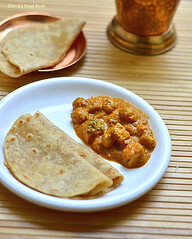 But its better to make puri as soon as you make the dough else poori may absorb more oil. Take a small lemon size dough ball and roll it slightly thick. Dust it once in wheat flour. Roll all the poori and spread them in a paper or sheet. 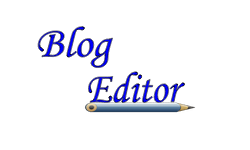 Poori should not be too thick or too thin. Heat oil to deep fry and put a pinch of dough. If it rises immediately, oil temperature is right.Now drop the poori and let it be in the oil for a second. When it starts to come up, press it with a ladle gently. Puri puffs up well. Now flip the poori and cook the other side.Remove with a slotted ladle and drain in a tissue. 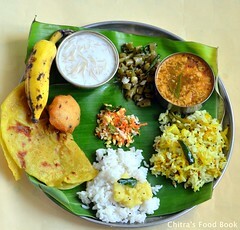 Enjoy with sabzi/Aloo Masala. 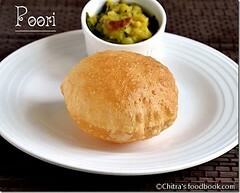 Addition of ghee keeps the poori soft and gives a nice flavour.But do not add more than the mentioned quantity. 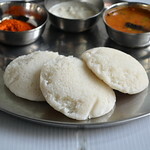 Adding sooji/rava is to maintain crispness.The puffed poori won’t break till u break it with ur hands.Some people soak the rava in little water before adding.If u add more quantity of rava, it would be good.But here it is not necessary as we are adding negligible quantity.U can also omit rava and try.It is completely optional. 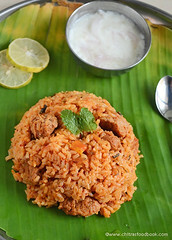 I din’t use rava in this recipe. Adding a pinch of sugar gives a nice golden color to the poori.But it is optional to use. Dough consistency is more important.If u make it too hard or sticky,poori will be too hard. If the dough is too soft , poori will become very soft. If u feel , u have added very less water and the dough is too tight,beat the dough well for few minutes. 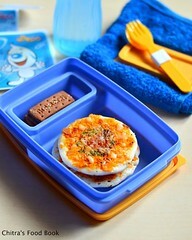 It will become soft.Then make pooris.It will come out well. Do not rest the dough.Make puris immediately else it will drink more oil. Always use less flour for dusting else the dusted flour will spoil the oil and will be settled as sediments.So dust only once.U can apply oil on the rolling board and make pooris. Thickness should be medium ie slightly thicker than chapati and it should be even.Else poori will puff only in some places where it is thick.Make sure there are no holes while u roll.Pooris won’t puff up if there is a hole. Right temperature of oil is more important.Never allow it to fume or smoke.Poori will turn dark brown in color.Check the oil as mentioned above and proceed. After u make 2 –3 puris, adjust the flame,check the oil temperature again & fry the pooris.If the oil is too hot,switch off the flame for few minutes to reduce the heat.Else add some more fresh oil to reduce the heat.By doing this way,u can make pooris of even color till the end. 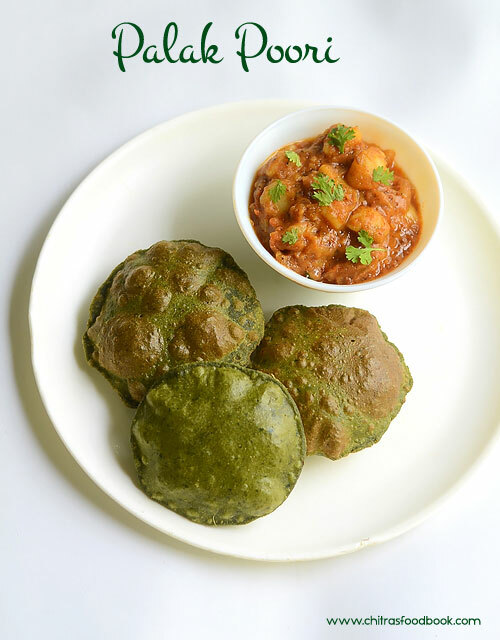 Try this healthy Poori for your kids & Husband and Enjoyyyy ! !